When you can't be there, give your loved one the gift of COMPANIONSHIP. 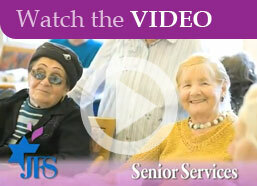 Help a Senior you love regain their independence. Put a smile on the face of a lonely Senior. Offer respite to a primary care giver. We get to know each individual client and match them with a caregiver who will meet their needs. Whether you need 4 hours per week, 40 hours per week or more, we are here to help improve the quality of life of Seniors. Call today and speak with our coordinator. The Senior Companion Program is supported by a generous grant from The Retirement Research Foundation.